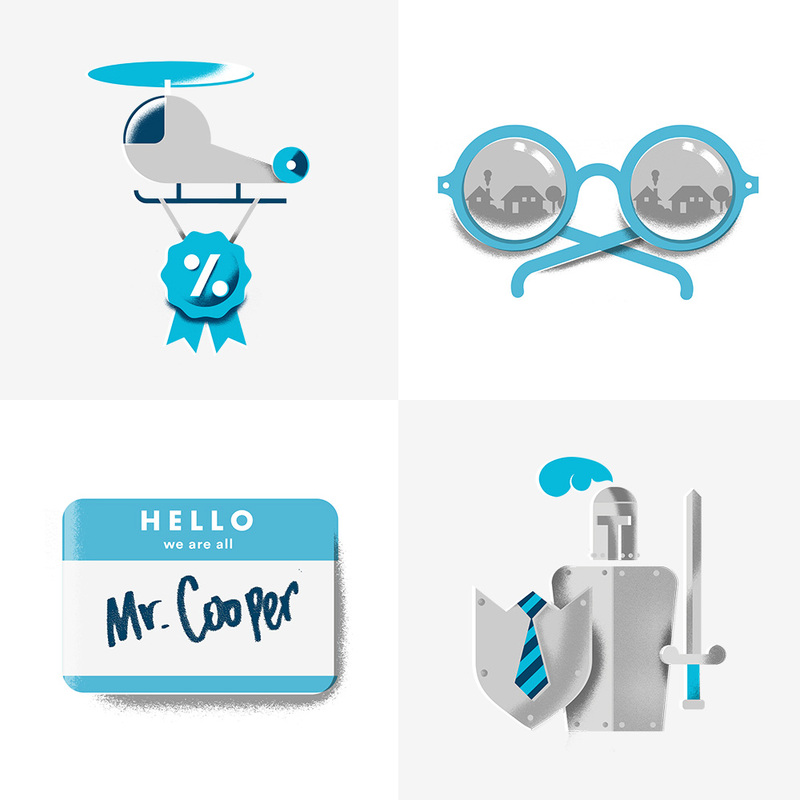 In August 2017, Nationstar will be rebranded as Mr. Cooper. After defining a customer-centric brand strategy and positioning, we set out to create an expression for the brand that was intentionally human at every touch-point, including a new name. 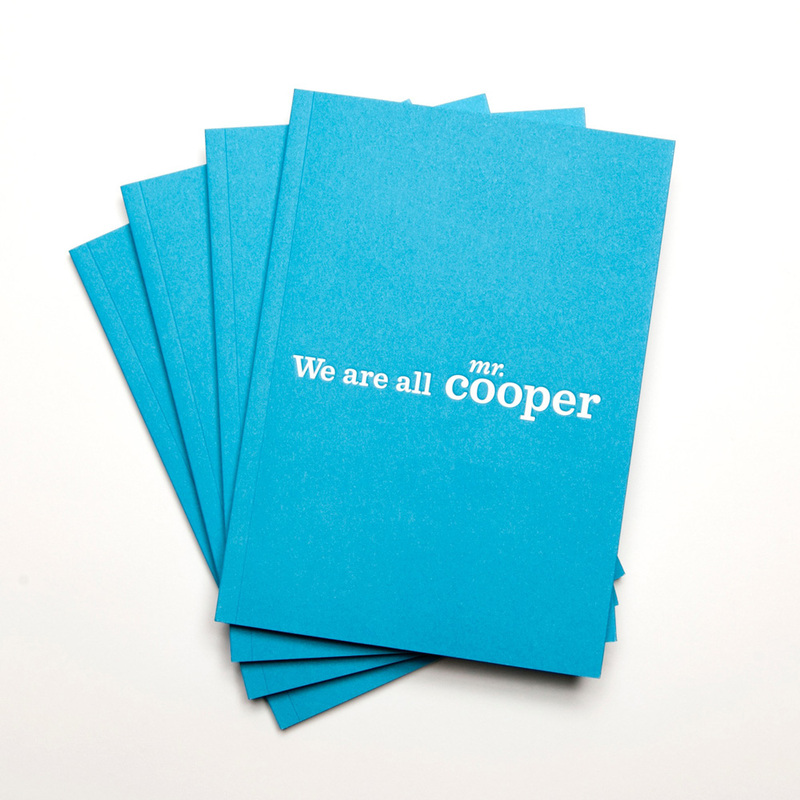 With this desire to personify the brand, thousands of names were analyzed, with Mr. Cooper ultimately selected. Mr. Cooper not only represents a more personal relationship that customers can have with their home loan provider, he’s also the kind of person who will go the extra mile to help them realize their dream of homeownership. He stands for avoiding “business as usual” and that one person can make a big difference. The identity system that was developed intentionally broke from the bland and cold conventions that had become commonplace in the category. 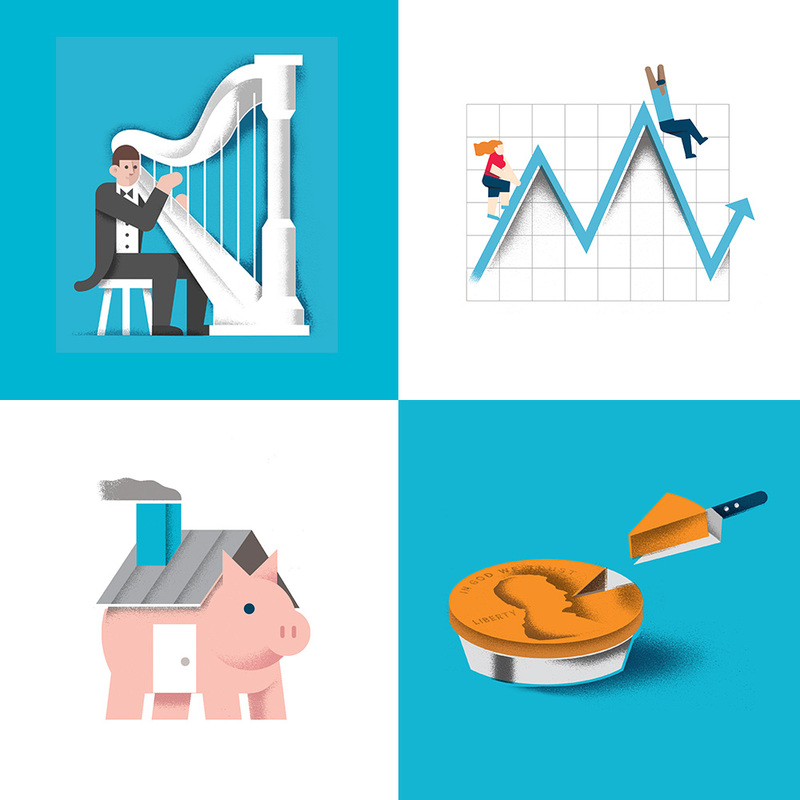 The visual style is illustration based, making it bold, fresh, modern, friendly, and approachable. Phenomenon worked with illustrator Andrew Collin Beck to develop a library of illustrations that help to convey complex concepts and processes simply and clearly. The language is conversational and, at all costs, mortgage jargon and confusing “gobbledygook” is avoided. To ensure the brand’s authenticity, the re-branding was first initiated internally to align Nationstar’s nearly 7,000 team members with the brand’s critical role as a customer advocate in delivering a positive experience, and that each team member can make a big difference. The internal transformation is currently underway, with an external launch scheduled for Q4 2017. The actual logo evolution: original logo on the left, interim logo in the middle, and complete redesign on the right. On the original post last month one thing I got wrong was the “before” logo, where I actually showed the interim logo, which is an interesting an key component of the story. Between switching from Nationstar to Mr. Cooper, there is a segue logo that introduces the blue color and the new penchant for simplicity as a way to get the internal rollout in motion. I don’t think I’ve seen this done so explicitly but it’s kind of interesting. 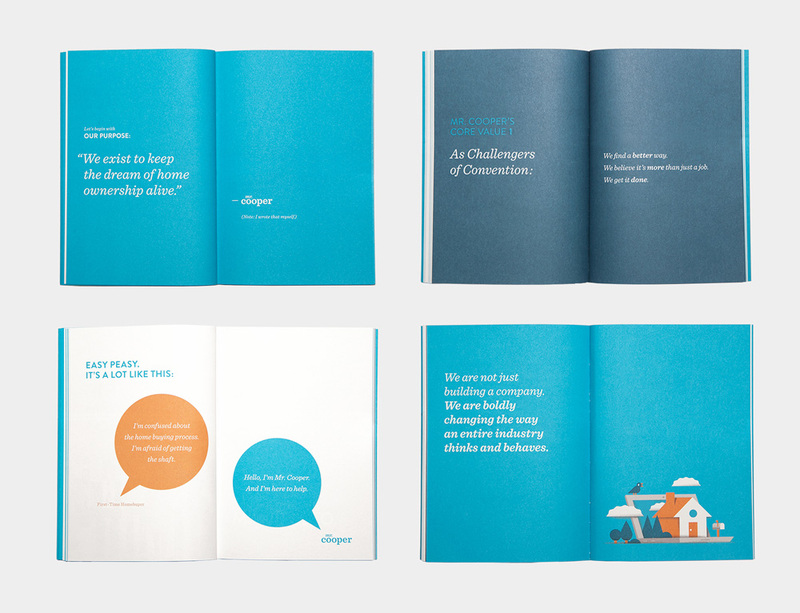 In terms of further follow-up material, there is a nice-looking handbook that does start to establish the more relatable personality of the brand and there is a handful more illustrations to see. I like the ones without (or with less) people and that have the blue/gray combo as those feel more like usable, grown-up assets. The ones with all the people still feel too cartoonish, although they are lovely on their own… If those had been done in the more abstract style of the two people sliding up and down the chart graph directly above, this would be so much more interesting. (Est. 1997) \"Nationstar Mortgage offers servicing, origination, and real estate services to financial institutions and consumers. We are one of the largest servicers in the United States, with a residential mortgage servicing portfolio of over \$390 billion in unpaid principal balance as of March 31, 2015. Nationstar's integrated loan origination business mitigates servicing portfolio run-off and improves credit performance for loan investors. Visit NationstarHoldings.com or NationstarMtg.com for more information about Nationstar and how we can serve all your mortgage needs.\"